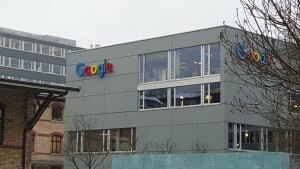 Uns erwartet eine Besichtigung der besonderen Art: Das Headquarter in Zürich ist ein wichtiges Entwicklungszentrum von Google in der EMEA-Region und beheimatet Mitarbeiter aus rund 75 Nationen. Darüber hinaus werden wir auch Mitglieder von JCI Zürich / Zürichsee auf unsere Einladung hin begrüßen können – für interessantes Netzwerken ist also bereits vorgesorgt. Here in Zurich, we like to think of ourselves as “the real Mountain View.” Not because we’re the company’s engineering headquarters for Europe, the Middle East and Africa (EMEA), but because of the views out our top-floor Sky Lounge’s windows. Trust us, the Alps may look impressive in Google Earth, but in person, they’re spectacular. Our office has a different design theme on each floor, massage stations and restaurant-quality food. Our latest feature for foodies: A cafeteria called fork(), which may serve the best Asian food in Zurich. Our computer engineers (a third of whom have a Ph.D.) do important work across our technology groups, and our launches have included Maps for EMEA, Search refresh, key Gmail features like the priority inbox and account abuse protection, and content ID and monetization products for YouTube. Projects like these require skills in everything from software development and software testing to system and network engineering. With Googlers from across EMEA, Zooglers are an especially diverse bunch. Take a two-minute walk to the cafeteria, and you’ll probably hear more languages than you can count on both hands. Wichtiger Hinweis: Eine Anmeldung ist nicht mehr möglich. Alle verfügbaren Plätze sind bereits vergeben.